Don’t just take it from us, read what others have said about Seasons at Library Square. Residents at Seasons at Library Square talk about their favorite things in Salt Lake and at the apartments. This is a great apartment to live in. Great location and it sits right in the heart of downtown. Like, everything is very accessible, from grocery stores, to banks, malls (shopping centers), trax stations, and restaurants. I’m also very impressed with the facilities that they provide to their tenants. The massive theater is delightful especially for me who loves binge watching movies. We have a lovely and friendly neighbors and I feel really safe and secured in the building. The hot tub in the central courtyard topped my favorites in this apartment. It’s perfect for a cozy night with some grilling going. The clubhouse is also perfect for small social gatherings; it definitely bring friends together. I love it! This place is awesome. It has good amenities and great rooms too. Peaceful neighborhood. Awesome place to live. Very secure with great amenities. Close to UTA Trax. Walkable distance to places in downtown. The most important part is community manager (Issa) and her great staffs. Responded to email very quickly. Requests are always been addressed at a very reasonable time. Highly recommended if you look for a place to live in Salt Lake City. Issa even follows up on my important mail after I move out of the apartment. Come live here! This place has everything – gym, hot tub, w/d in unit, parking! Issa, the Property Manager, is committed to helping you get settled smoothly and answers any and all questions you may have. The staff here are excellent! Love their staff, they are very professional. They take care of their residents and make sure to take care any of your home needs while you reside here. They are prone to answer any concerns or any maintenance work orders on a timely manner. Plus, this is right in downtown, so what more can you ask for…oh and they are PET FRIENDLY!! I’ve had the privilege of residing at Seasons at Library Square for over a year. The staff are not only professional, they care about a resident’s stay, which is demonstrated in many ways. As an example, I needed to pick up my car, which they graciously took me to, saving me time and money. If a repair is needed, they respond quickly. There are many residents who have a dog who meet each other while walking their pet outside the complex. Definitely a friendly and gracious place to live; a 5 star residence. 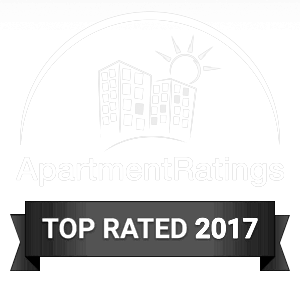 By far the best apartment that I have lived in, sweet and helpful staff. Equipment in the units are really new and they are doing a really good job maintain the hallway and surroundings. Staff are quite professionally handling all the issues and work orders. Great place to Live and Great Management and nice people live there. Best location for an access downtown and the police department is right across the street. With great amenities and security system for entrances and the garage for your car! Safety, security and convenience is right here. Very nice looking park. Good set up for Cable, Water, Electric, and sewer. Very nice showers/ restroom – but you have to remember the codes. Gave printed instructions for WI-FI, but we found it weak and unusable from laptop, (don’t know if office would have helped). Could also be that the rigs were blocking the signal. We found the Salt Lake Library wonderful with very good WiFi. Good location off 215, has a nice bike/walking trail accessible from the campground. Not much near by, but 15 min and you are in downtown SLC. Brenda and Braxton in the leasing office are so awesome! They are always so helpful and understanding, and most of all, down to earth. I have been living here for a couple of months now and feel very safe and have had work orders addressed within just a couple of days. Moving here from out of state was stressful, but they made the process so easy and I am so happy to call this place my home! My apartment was clean and i love the modern floors, counter-tops, and cabinetry. I couldn’t imagine living anywhere else! Great location, reasonable price, attentive staff! No hassle move in, even accepted my packages before my lease started. Great so far! Amazing place to live for any military personnel! Great location and amazing amenities. Please at least give a visit! Awesome (and friendly) management team that takes great care of the tenants and the building. Would highly recommend to anyone looking for somewhere to live to check this place out. Great amenities and apartments! Management is awesome as well, if you need something fixed in the apartment they are very prompt. I just wish the windows opened, besides that it is a perfect apartment! We (my girlfriend and cat) have lived her since the building opened and it has been awesome! The building has amazing amenities like a theater room (really nice), courtyard, party room, spa, and gym that all still look brand new. The management and staff here are amazing from the top-down also. They are all very friendly and genuinely interested in ways that they can make the building better. There have been a few growing pains since we moved in right when the building opened, but overall we have been extremely happy and just renewed our lease. Great place to live, close to everything in downtown, pet friendly, wonderful kitchen. This place is great. Centrally located with easy access to highway, grocery store, library and Liberty Park. Management is responsive and professional. Recommend living here if you can get in! My favorite thing about this apartment is the awesome kitchen with a gas stove and large prep island which is a rare find in Utah. Neighbors are awesome and staff is friendly. My husband and I have lived at the seasons for three months now and we couldn’t be more pleased with How our lifestyle has changed for good here. This is not your run of the mill apartment complex. The location is amazing, sandwiched between the big cities in Utah is convenient – especially if you commute, and getting places seems almost effortless since we’re close enough to I-15. My absolute favorite part of the day is going to the Seasons gym, the gym has a breathtaking view along with all of the necessary equipment (ie weights systems, treadmills, elyptical, and bikes), it’s energizing, and refreshing to watch the valley change while you get a good workout in. Trust me, the view itself can change your life, do yourself a favor and come check it out. Returning to the comfort of our luxurious apartment is a dream, everything is crisp and clean with the lines and color schemes. The appliances are sleek – not to mention the money you save for their energy efficiency and those gas appliances are fabulous! Its not only appealing to the eye, but the senses too, this place is comfortable, which is just what you need when you’ve had a long day. We have not visited – but have eyeballed – the hot tub which is open during the winter months! I must say that I am most excited for the pool to open this summer so we can mingle with our awesome neighbors. And if you’re big on biking, the Murdock trail entrance is just down the street, did I already mention I’m excited for summer here?! And the staff are more than helpful, they’re just the right amount of professional and “family”, they have taken such good care of us! You really can’t beat the price, or the memories that you’ll make here! I highly recommend this place to anyone I know who is looking for not only a place, but a life changing experience. Put it at the top of their list to visit, and I promise you will leave happy!